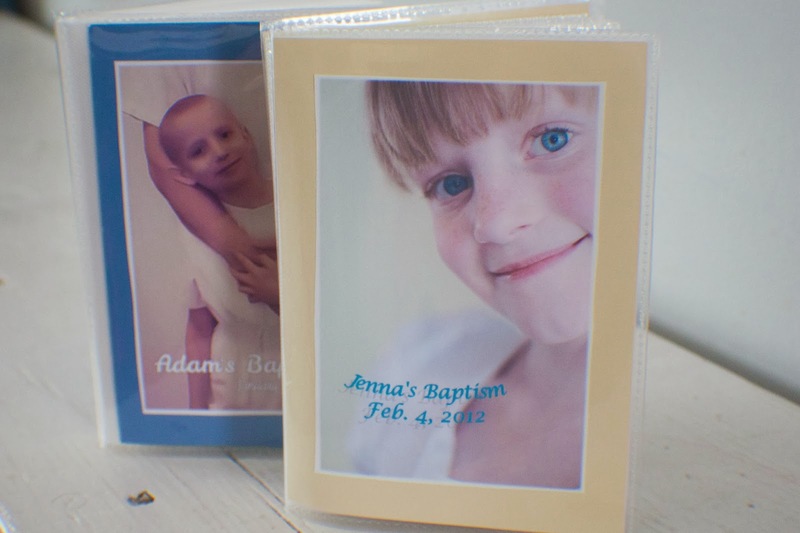 Here's how I made these cheap and simple memory books for Jenna and Adam's baptisms. 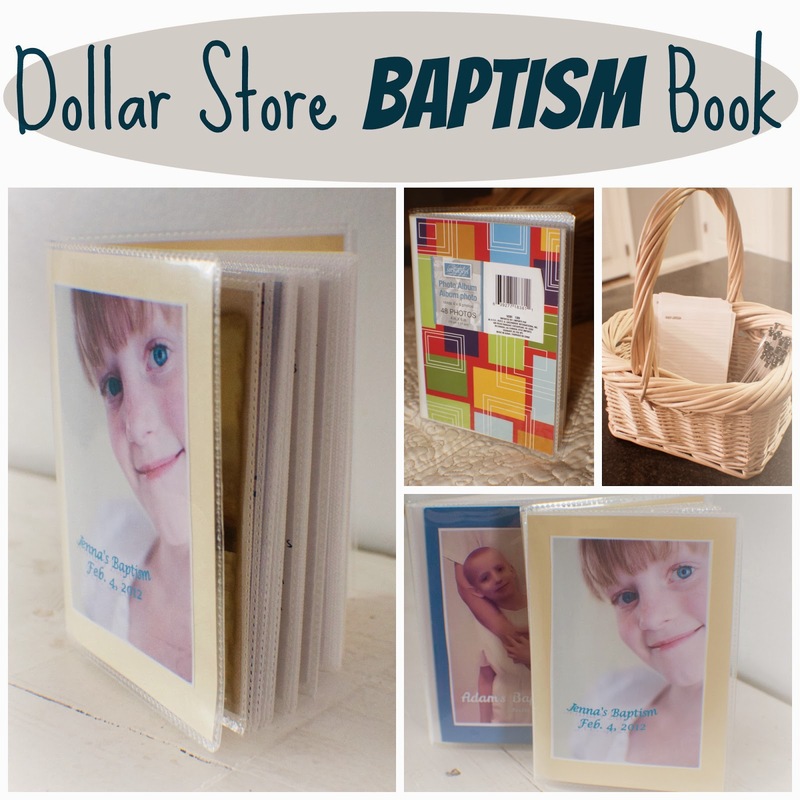 Start with a trip to the dollar store, and pick up one of these 4 by 6 photo books. 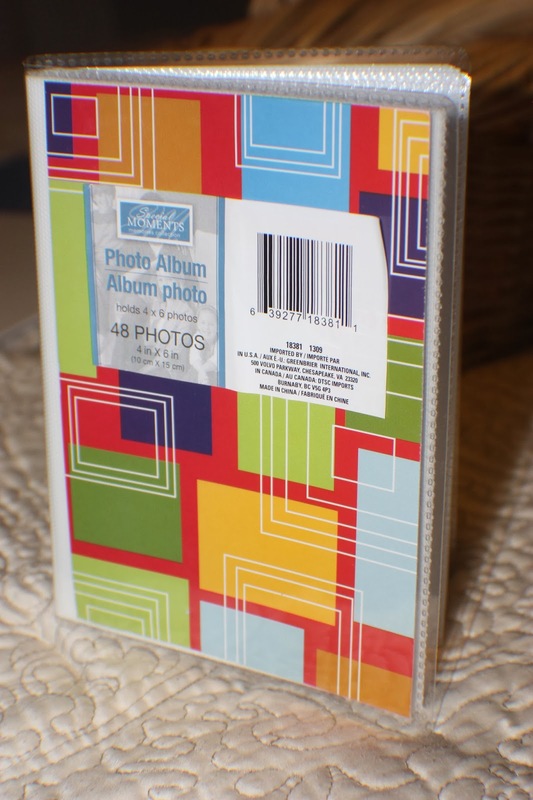 Take out the cover and replace it with your own. I prepared 4 by 6 cards to pass around. 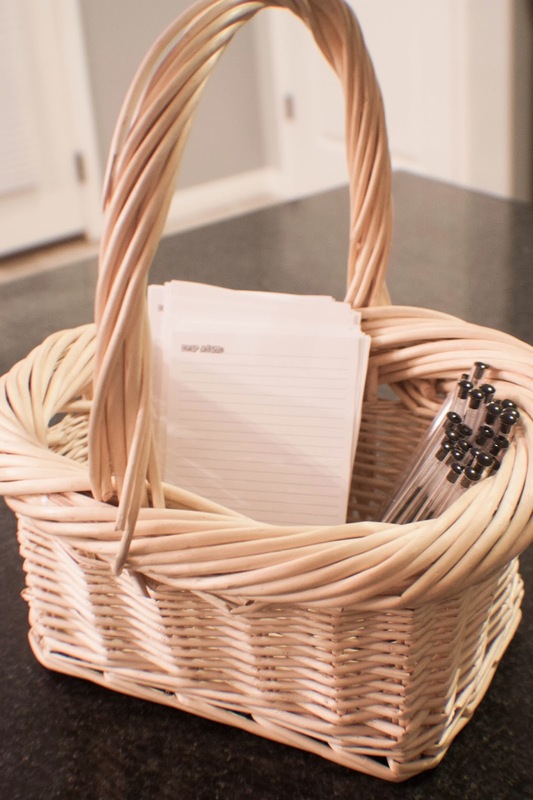 People could write a note to the child on their special day. Here's how they turned out. Inside I placed the notes, a copy of the program, a note to themselves, cards they received and pictures from the day. 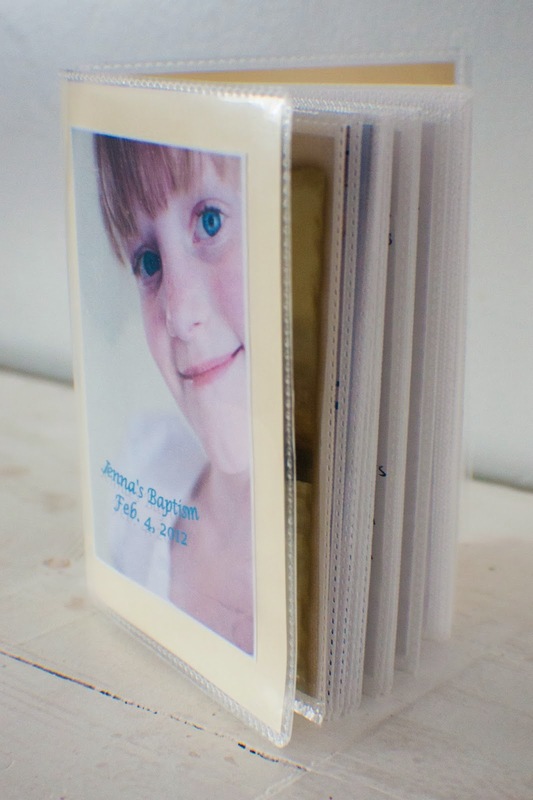 This special little memory book would be nice to have for all sorts of special occasions. Such a smart idea. I wish I'd thought of doing that when you were a kid. Lucky children of yours!